Te Awamutu College Year 13 student Lachlan Oosterman is like the ‘old man’ of Smokefreerockquest — he’s played at every competition since starting high school five years ago. And he played for two years previously in the primary/intermediate school equivalent Bandslam Rock Competition. Now for the third year running he’ll also be performing live at the National Final on Saturday, September 22 at Auckland Girls Grammar School. 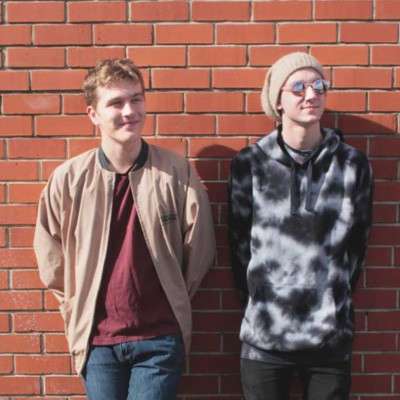 Lachlan (vocals/guitar) and bandmate Matthew Church (drums) competed in the Waikato regional final as Suggested Serving Size — continuing the food-related band-name theme they started with the trio Half Eaten Pie. With bass player Hayden McFie, who has since left school, Half Eaten Pie won the 2016 and 2017 Waikato event and made the national finals. Suggested Serving Size placed third at Waikato, so it came as a complete surprise when they were announced as national finalists. Top bands from the regional finals submitted ‘audition’ videos to be judged for the grand final. Lachlan says it was an honour to make it through for the third year. “There were some great bands this year.” Playing as a duo, but categorised a band because they use a drum kit, Lachlan and Matthew wrote new songs for the contest. Lachlan added an octave pedal to his kit and can drop his guitar down to give a rounder sound usually provided by bass. Otherwise they haven’t changed their style much. Suggested Serving Size also never played live until they hit the Smokefreerockquest stage. Half Eaten Pie still plays live, so they are including the new material as rehearsal for the final. The boys are also looking forward to working at Neil Finn’s Roundhead Studios again as well as part of the deal. Half Eaten Pie have a six track EP available now on Spotify. Suggested Serving Size audition videos are viewable by searching the band name on YouTube.